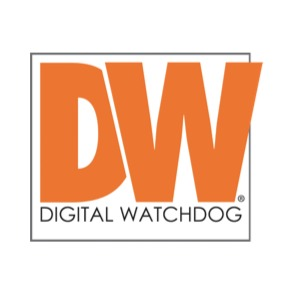 Founded in 1987 Digital Watchdog® (DW®) empowers our customers as the industry-leading single source of value-driven complete solutions for all video surveillance applications (HD over Coax™ / hybrid / IP Enterprise), focusing on ease of use and ROI. DW™ products offer technologically-advanced features including multi-sensor HD cameras at real-time 30fps, Star-Light™ super low light technology, WDR, Smart DNR™ and Smart IR™. Complete IP megapixel surveillance solutions include single- and multi-sensor MEGApix® cameras and edge recording systems, Blackjack® NVRs and DW Spectrum® IPVMS for the server, mobile and on-camera control. Complete HD over Coax™ surveillance solutions include single- and multi-sensor STAR-LIGHT™ HD over Coax™ cameras, VMAX® Universal HD over Coax™ DVRs and mobile management applications.